With so many ways for both your identity and credit card information to be stolen these days, many card issuers are taking steps to block this threat – sometimes at the expense of the convenience of the card holder. With technology allowing for the easy facilitation of credit card information between willing and unwilling parties, companies are using a variety of tactics to identify and stop identity theft before it becomes a huge problem. With so much to lose in terms of reimbursements and complaints from card holders, it seems these companies are trying to head off a majority of problems before they occur. Take for example the case of small purchases for gas and convenience store items. Many thieves use these sorts of purchases as a way to determine whether or not the credit card is valid and functioning. Topping off the gas tank is the most popular way of doing this, and many legitimate customers are now finding their cards being locked down after a routine gas purchase in areas where they do not frequently shop. Likewise, the old act of “redlining” (where banks would automatically deem individuals credit worthy or not based on where they live) seems to be making a comeback. 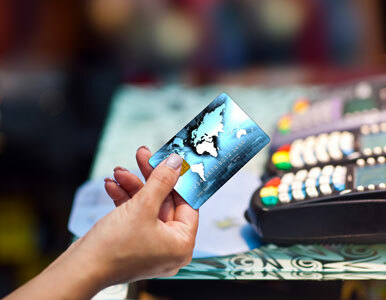 If a purchase is made in an area of a city where a higher rate of fraud and identity theft is known to exist, then this will alert the card companies and can possibly result in a frozen account. Another alert for card companies is purchases of items that appear to be likely targets for thieves. Most people who commit credit card fraud do not want the items they are purchasing, but rather want those items because they are easy to liquidate. If you make select purchases of electronics or jewelry, then credit card companies may believe these transactions to be suspicious. It may not even require specific purchases to raise red flags, but rather a change in spending habits. Banks and card issuers generally have access to the types of purchases you make, which create a profile of your spending habits. If something suddenly looks out of place (say, a huge electronics purchase when all you normally buy are gas and clothes), then card companies may take proactive steps to halt your account and verify the purchase was made by you. As these companies move to hedge any losses caused by identity thieves, your personal finances may be better protected. However, they may also be harder to access if the banks are constantly locking down your accounts due to profiled behavior.